Given just how big Collin County, Texas is, it is amazing that they have not gone to courts of specialized jurisdiction like Dallas and Tarrant County. Query, is Frisco now bigger than Plano? 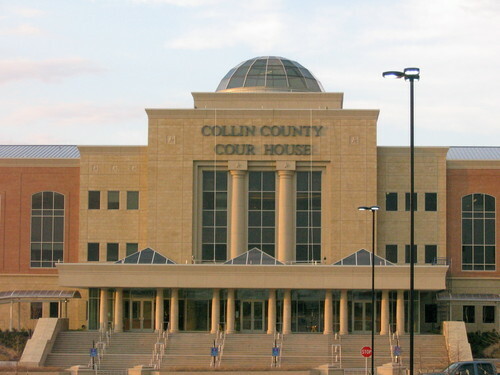 The Collin County courts are courts of general jurisdiction. They handle all civil matters, criminal matters, and family law. Warning – Dallas County has two main courthouses. The George Allen Senior Courts Building and the Frank Crowley Courts Building. If your case involves any family law matter or any civil matter on the District Court level, your case will be in the George Allen Couts Building. The Frank Crowley Courts Building is exclusively criminal law. A lot of people make the mistake of going to the Crowley Courts Building when they meant to go to George Allen. Underground parking is available for a maximum of $10.00 per day. Access to the garage is from Commerce or Elm Street. If you use I35 to exit onto Commerce and then Commerce to the courthouse, entry to the parking garage in on the left. Like Dallas, Tarrant County uses specialized courts exclusively devoted to family law. These are courts of specific jurisdiction – family law. 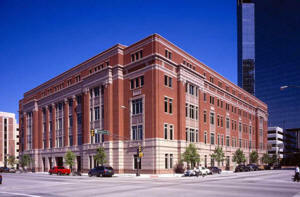 A parking garage is located across the street from the Family Law Center on N. Calhoun. Normally, I will park a couple of blocks away on the street and walk to the court’s building. Like Collin County, the Denton County courts are general jurisdiction courts. They hear all types of matters – car wrecks, contract disputes, criminal issues, and family law. 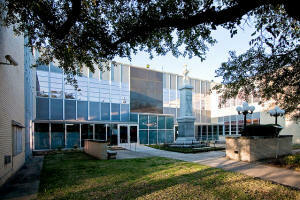 No, the Kaufman County courthouse is not real pretty. But then again, they didn’t take out a big bond issue to get a courthouse replaced either. Make no mistake serious business takes place here.